It’s been 18 months since Lexus introduced the RC F GT3 Concept at the 2014 Geneva Motor Show, and the production model has been finally unveiled at the 2015 SEMA Show. Built to FIA GT3 specifications, the RC F race car is Lexus’ first such project since it shelved the GTE program for the LFA. 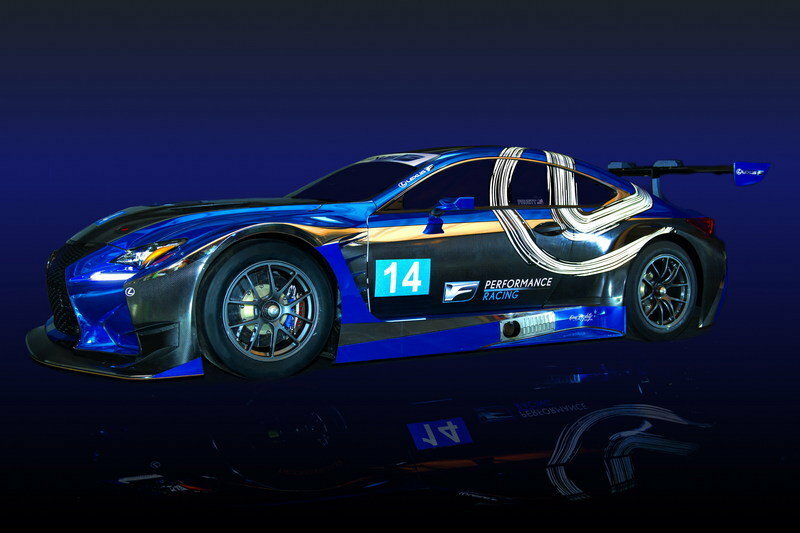 The RC F GT3 is part of the brand’s new global motorsports effort and will hit race tracks in the United States beginning in 2016. According to Lexus, Paul Gentilozzi and newly formed F Performance Racing will field the RC F GT3 in "a soon to be announced sports car series." For the uninitiated, Gentilozzi has been involved in professional racing for more than 45 years. 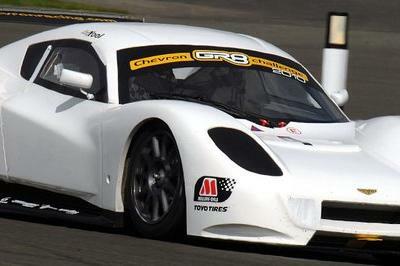 The team has five Trans-Am Series championships with three different brands to its name, as well as an overall and two class victories at Daytona 24 Hours. Additionally, it propelled Scott Pruett, Kalus Graf and Tomy Drissi to three driver championships and 10 manufacturer titles in IMSA and TransAm combined. As an engine builder, it took various teams to more than 50 wins and podium finishes. Gentilozzi isn’t the only huge name involved in this project. The RC F GT3 will be driven by road racing legend Scott Pruett. The 55-year-old has won many Trans-Am, IMSA, and Daytona 24 Hours events and will be returning to the track in a Lexus in after an eight-year hiatus. 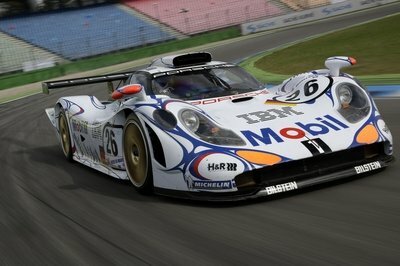 The California native previously campaigned Lexus-powered prototypes between 2004-2007. The RC F GT3 will run a limited calendar in 2016, but an actual schedule has yet to be announced. In its first year back on the track, Lexus’ primary focus will involve further vehicle development and gathering track experience. Continue reading to learn more about the Lexus RC F GT3 By F Performance Racing. 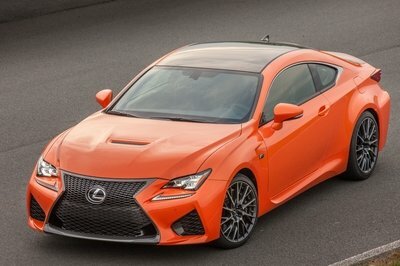 Unsurprisingly, the RC F GT3 looks nearly identical to the concept car Lexus debuted in 2014. At first glance, we’re looking at the similar aerodynamic updates that turned the road-going RC F into a menacing, track-only race car. Upon closer inspection, however, the production model received many upgrades besides the flashy blue livery. 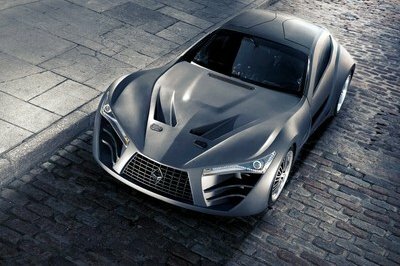 The engine hood features exposed carbon-fiber and two large vents. Up front, the RC F GT3 now sports a revised bumper that received a big carbon-fiber splitter and a pair of canards at each corner. The side intakes are gone. The engine hood is also different, now featuring exposed carbon-fiber and two large vents. Changes continue onto the sides with revised skirts, new front bumper gills, and more aerodynamic, race-spec mirrors. Both the twin-five-spoke wheels, and the side-exit exhaust have been carried over from the concept car. Around back, there is a reshaped bumper, a new diffuser, and a modified wing. As for the livery, although it maintains the concept’s design, the body is no longer finished in white, but a combination of chrome blue, white, gray, and exposed carbon-fiber. 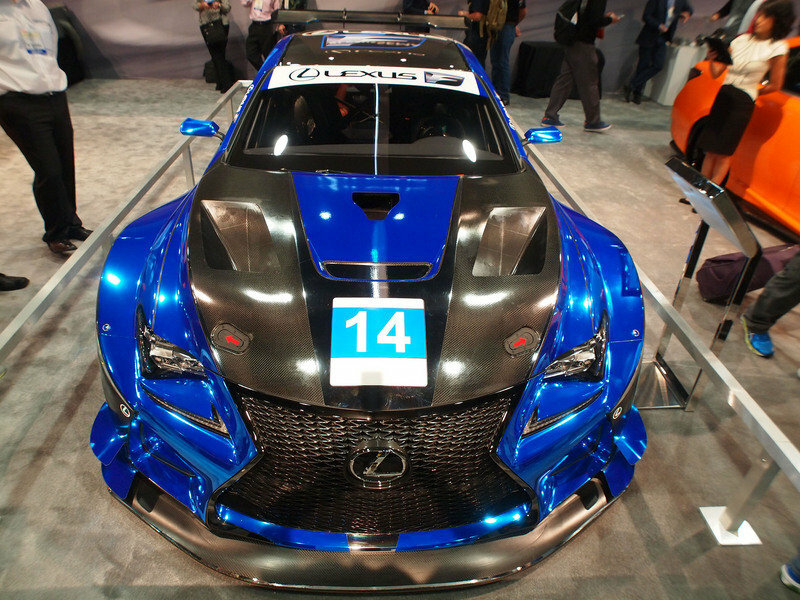 Several "Lexus" and "F Performance Racing" logos decorate the body panels. 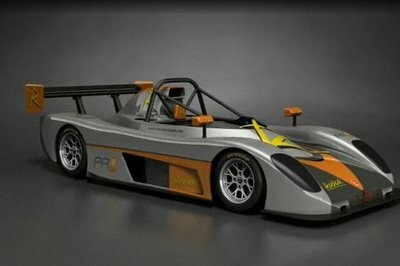 Even though it’s not necessarily more aggressive than the concept, the production model looks ready to hit the track thanks to its updated aero package and racing livery. The cockpit is as racy as they get and a lot more radical than the concept’s. The dashboard is the only feature that bears some resemblance to the road-going car, but both the standard instrument cluster and center console have been replaced with race-spec units. A big display positioned behind the steering wheel provides the driver with everything he needs to know about his car, while the center stack is a collection of colored knobs, buttons and switches. More buttons can be found on the flat-bottomed steering wheel, which is wrapped in Alcantara for better grip. Most of the interior is made from carbon-fiber, including the door panels, the steering wheel and its column case, and the center console. 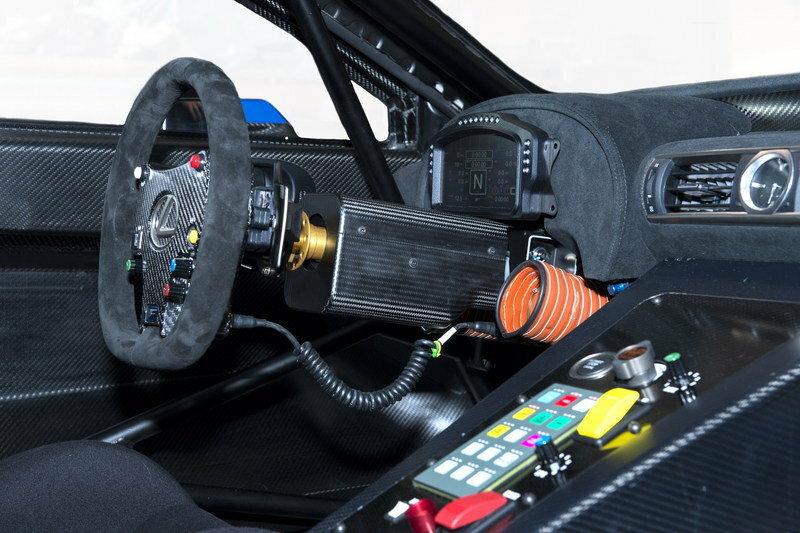 Rounding out the GT3-spec interior is a racing seat and an FIA-approved roll cage. Lexus had very little to say about the RC F GT3’s drivetrain, but it did reveal that motivation comes from a 5.0-liter V-8 rated at more than 500 horsepower and mated to a six-speed sequential gearbox. The race-spec unit is likely based on the 2UR-GSE engine found in the road-going RC F and IS F.
Although new to the North American racing scene, the RC F GT3 is actually a few months old, as the race car made its official debut in the third round of the 2015 VLN season on June 20th, 2015, at the Nurburgring track. Given that Lexus already races a somewhat similar car in Japan’s Super GT series, albeit with a turbocharged four-cylinder engine, the GT3 signals Lexus’ intention to turn RC F into a global race car. 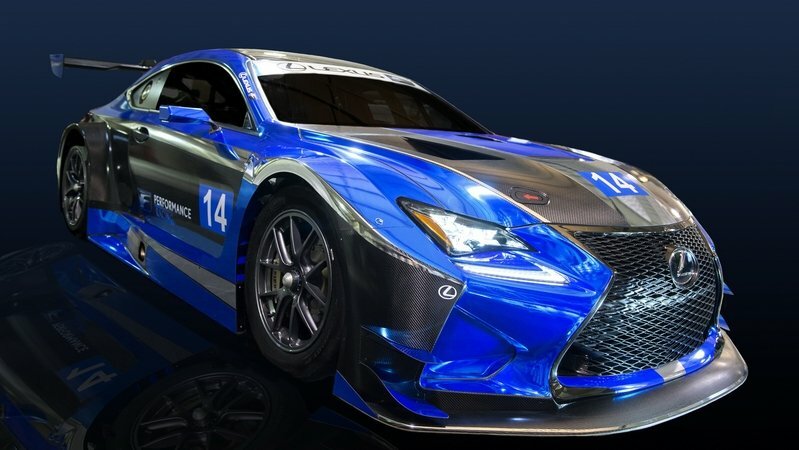 Although Lexus is relatively new to the racing scene, having entered the motorsport arena in 1999, the RC F GT3 has big shoes to fill in North America. But, with support from Gentilozzi and with Scott Pruett behind the wheel, the coupe should be able to give its competitors a run for their money, no matter the series. Success will have to wait though, as 2016 will be sacrificed for further development. Lexus expects the RC F GT3 to become competitive from 2017 onward. Guess we’ll just have to wait and see. Pruett and Lexus have a history of success both on and off-the-track. The Roseville, California native campaigned Lexus-powered prototypes from 2004-2007 in the Grand-Am Rolex Sports Car Championship Series earning three driver championships and winning the Rolex 24 at Daytona overall in 2007. In fact, Pruett has won the 24 Hours of Daytona a total of five times, earned 12 class victories and a record 60 wins in American sports car competition. Beyond his on-track feats, Pruett was integral part of the development and global promotion of both the Lexus LFA supercar and the Lexus IS F performance sedan. RC F. The possibility of returning to the hotly contested GT ranks in 2016 with Lexus’ high performance niche brand was a race team’s dream. 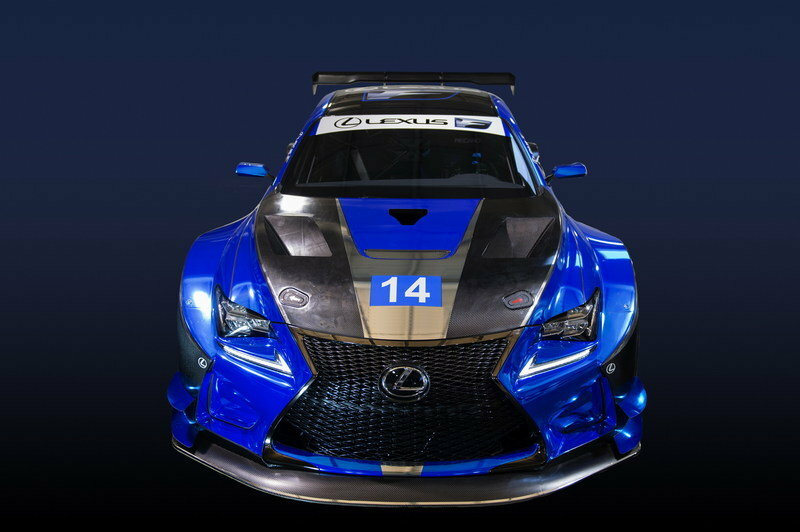 Given the brand’s commitment to competition, Lexus racecars are poised to develop a motorsports heritage through sports car racing around the world. Simply put, this is a “must do” challenge for F Performance Racing and Scott Pruett.